I earlier said, Life saving equipments are the best friends we have on board. And it is our responsibility to keep these in shape. Each life saving equipment is our friend and we all agree that. But like in real friends we need to give “Life saving equipment” our time that it deserves. How about saying a “Hello” to lifebuoy once every month. Or saying hello to lifeboat engine every week by testing it. If we give our time to these appliances, these will remain our friends. If we do not, they will not. It is a simple give and take. For example, Let me tell a short story of the times I was a 2nd mate. The third mate told me, what can happen to a lifebuoy during its lifetime. These are there and we just need to check if these are in numbers that is required. Few day after, during PSC inspection it was found that lifebuoys were too heavy. Lifebuoys had the sea water soaked into it through a plug that was supposed to be watertight. You see how these friends can get angry !! But can we keep these in shape if we do not know what is required to maintain these. Or what elements we need to check for life saving equipments. 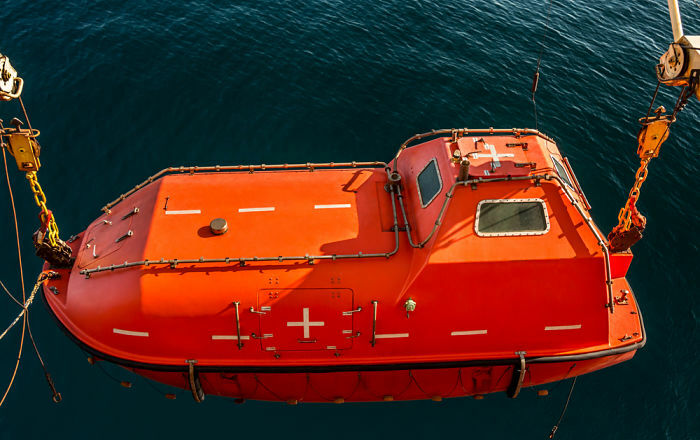 This guide will deal with the inspections required on davit type lifeboats as well as the best way to conduct the inspection. Lifeboat is the first thing that comes to mind when we talk about life saving appliances. But an empty lifeboat will be as bad as no lifeboat on ship. And defective equipments inside lifeboat will be as bad as an empty lifeboat. Let us see what we need to do to ensure that lifeboat will be ready to help if required. Check that food ration packets are sealed and have vacuum. Check the expiry date of items like food ration, first aid kit, fresh water packets etc. Sometimes you will find the radar reflector with the expiry if it of cloth type. If one SART is placed in the lifeboat, check its operation with X-band radar. SOLAS require that at least every week the lifeboats should be moved from its stowed position. Harbor pin stuck because of rust, bent pin or because of it holding davit weight. Whatever the reason, if we move the lifeboat from its stowed position every week ensures the lifeboat readiness. We might get confused between moving from stowed position and turning out from stowed position. When we talk about moving out, we are required to move the lifeboat slightly. By turning out we need to lower the boat to the level where boat will be directly above water. Usually this requirement is fulfilled during monthly lifeboat drill when we turn out the lifeboat from its stowed position. A lifeboat is of no use if it cannot move away from a sinking ship. Or if it cannot move to the helping ship. We need to test the lifeboat engine every week. But wait, what can happen to the lifeboat engine if we had tested it few months back ? You would be surprised to know that for the lifeboat related PSC deficiencies, more than 20% were for failing to start the lifeboat engine. Remember, we need to say hello to all of our friends. Coming back to the question !! What can happen to the lifeboat engine if we did not say hello every week by testing ? You may not realize that fuel tank is below the required level. You may not realize that the engine is not starting in cold conditions. All these points we can realize if we say hello to the lifeboat engine every week. There are few things that can only be inspected by naked eyes. No testing but just with the naked eyes. Visual inspection of the lifeboat aim to cover that. Self contained air support system is used to maintain a positive pressure inside the boat. This prevents any toxic vapors to enter inside the lifeboat while abandoning the vessel in toxic environment. Let us see what we need to do to make this friend happy. We cannot use this system if the air bottles are empty. Every month we need to check if the air bottles are full. Upto 10% decrease in bottle pressure is allowed. Most of the time there are three air bottles of around 45 Litres capacity. 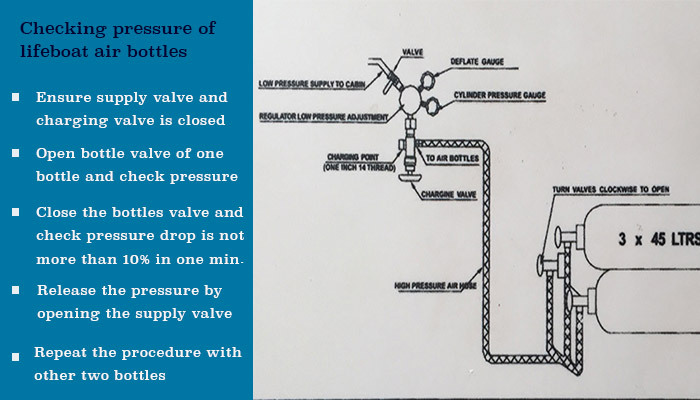 After you have checked the pressure of one bottle, we must ensure that we release the pressure in the line before we check the pressure of other bottles. While the pressure testing of the bottles is not a SOLAS requirement, but it required as per rules of Internaltion associated of classification societies. 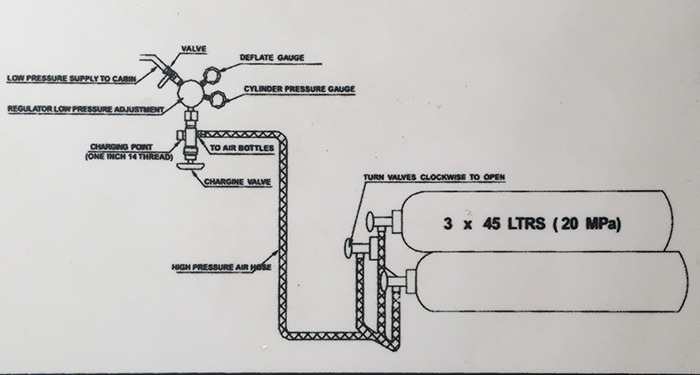 Every 5 years (usually during 5 yearly dry docking of the vessel), the air bottles are taken ashore and pressure tested to 1.5 times the working pressure. 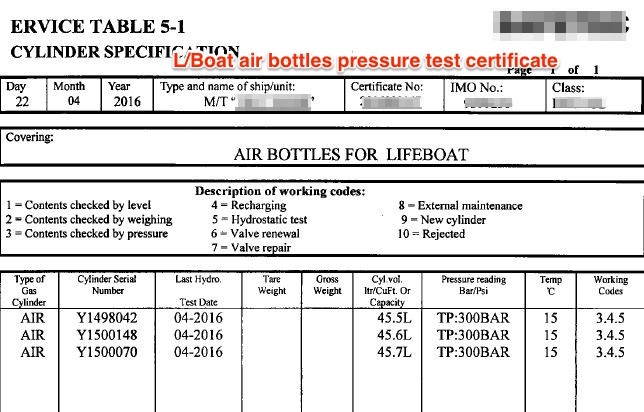 A certificate of pressure testing of life boat air bottles need to be on board. The sprinkler system is required on the lifeboats of all oil tankers. And the idea of lifeboat sprinkler is same as is with any sprinkler system. To distinguish the fire. Lifeboat sprinkler system is used if the oil fire has enveloped the lifeboat. To ensure that lifeboat sprinkler system can work in emergency would require regular testing. Here is how we can ensure this. All the nozzles are open and not clogged. The Sprinkler pump is free to rotate and can taken suction from the sea. These tests are then required to be done by the maker during the annual thorough inspection of the lifeboat. Lifeboat sprinkler system lines do not like the seawater to be retained in it for long time as the salt can block the nozzles. For this reason we must flush the sprinkler system with fresh water each time we test it with sea water. Lifeboat needs some means to lower it. We should be able to lower Lifeboats without depending upon the ship’s power supply. That makes the gravity type lifeboat davits a first choice for the shipyards and ship owners. In this type of launching appliances, we just need to release the brake to lower the lifeboat. SOLAS require that we test these launching appliance periodically. After all our friend’s friend is our friend too. Isn’t it ? 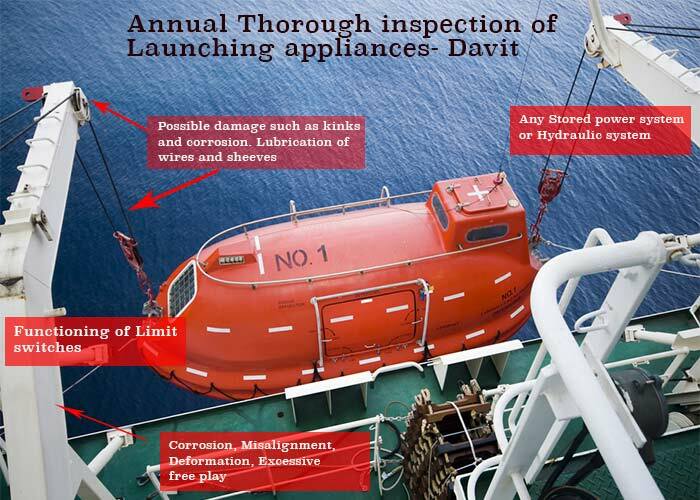 SOLAS require the Maker to carry out annual thorough inspection of the lifeboat launching appliances. The main element of a davit winch is the braking system. If the brakes are not in good condition, lifeboat operations are liable to cause accidents. There are two brakes in the gravity type lifeboats. One that holds the vessel (static brake) and second that controls the lowering speed (centrifugal brake). During annual inspection by the maker, the brakes are opened up and condition of brake pads is checked. The brake pads are replaced if required. checking the condition of remote lowering system. Remote lowering of the lifeboat is done by a small wire that leads to inside the lifeboat. Pulling this wire lifts the brake handle remotely which lowers the boat. Sometimes you will also find remote lowering system on lifeboat deck from where the lowerer can visually see the lifeboat overside. Checking the visual condition of winch foundation to ensure that it can take the load of the boat. 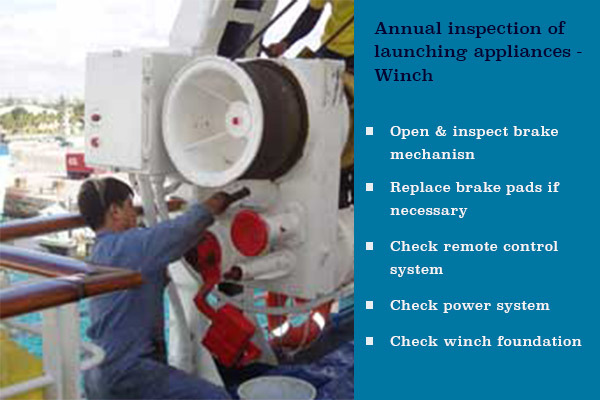 Winch brake is an important part of the launching system which if fails can result in disastrous situations. So it is not just enough to inspect the which brake and replace the brake pads. SOLAS require the maker to perform dynamic winch brake test. In the dynamic brake the boat is lowered by opening the brake. When it achieves the maximum lowering speed, the brake is applied abruptly. The brake pad and davit foundation is then inspected. Every year the dynamic load test is done with weight of the boat and its equipments. 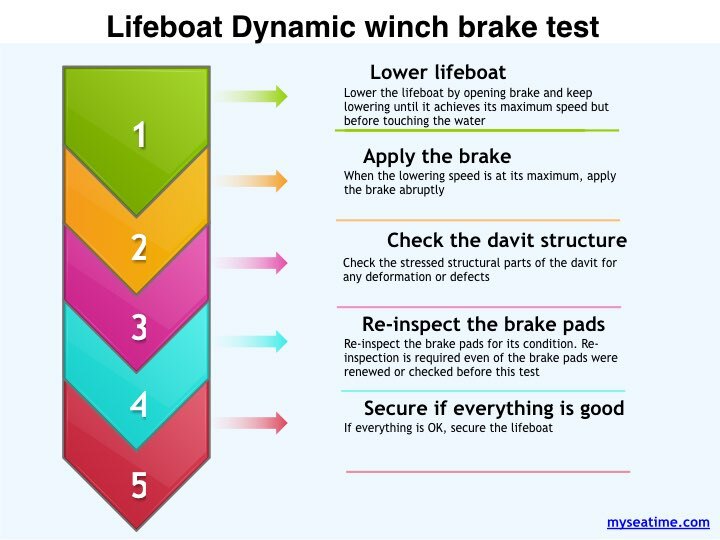 Every 5 years the dynamic brake test is done with the weight of the lifeboat and its equipment alongwith the weight of the number of persons that lifeboat is designated for. Cargo vessels with keel laid on or after 01st July 2010 or where lifeboat is installed after this date. For all other vessels with keel laid on or after 01st January 2012 or where lifeboat is installed after this date. Shipping has become safer nowadays but even the unsinkable ship had to use the lifeboats on its maiden voyage. And when they required it, either the lifeboat was not ready or the people handling it. 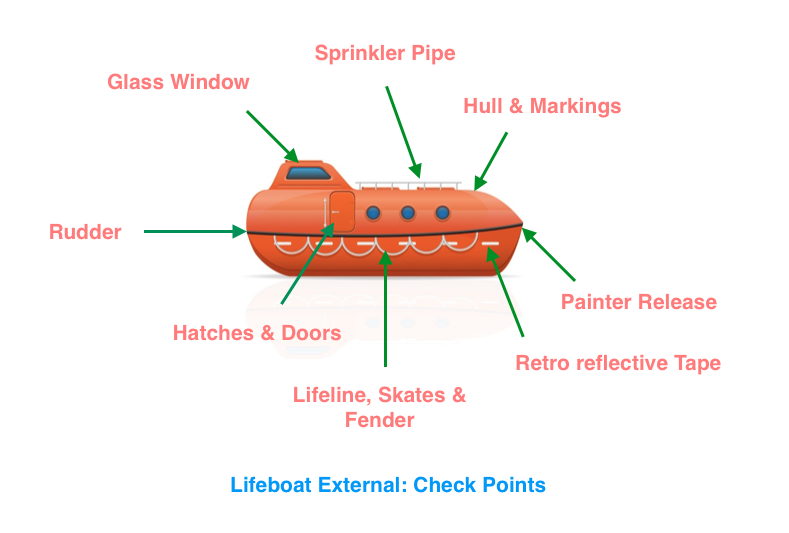 The design and other requirements about lifeboats have changed drastically since then. 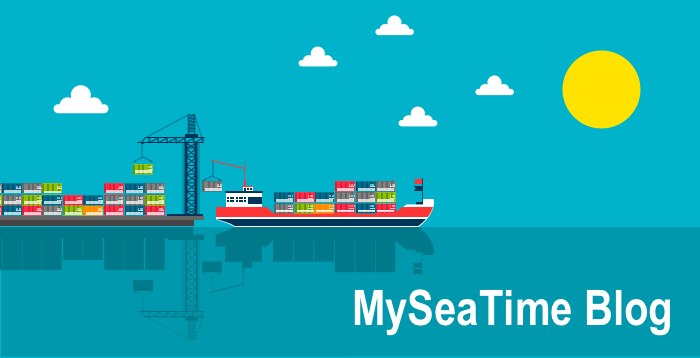 All it requires now is for us to make sure that we follow the routine set out in SOLAS, company manual, MSC circulars and any other regulations. 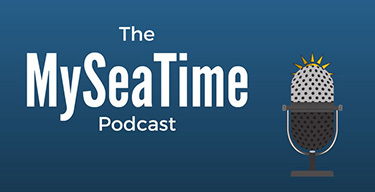 Exceelent piece of information .A must read for seafarers. sir can u tell, technical difference between rescue boat and lifeboat (if using lifeboat as rescue boat) except the hoisting requirement. Except hoisting speed requirements (including requirement to have emergency source of power for winch), the rescue boat need to have recovery strope for quick recovery of the rescue lifeboat. 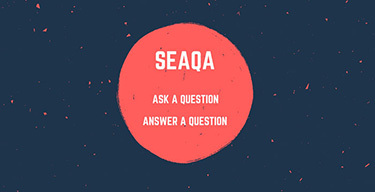 That is a broad question Vijeesh..I will try to cover that in future..If you have any specific question about that, you can always ask that in our SEAQA section.. Thanks a lot sir! Very interesting and useful article. I opened even something new for myself. It would be great if you'll make a separate topics, for example "navigation", "safety", etc. Or use hashtags for more easy searching. Great Idea.. Thanks. Will think in that line and implement soon. Good day sir, Very useful blog about LB maintenance sir. Like to get ur attention in 5 yearly dynamic winch brake test,in which u missed 1.1 times of weight of LB ,its complement and equipment to be used for testing. Kindly note it sir. Thank u.
hello sir, could u tell me what certificates are checked by surveyor for lifeboat and rescueboat when they onboard>?